***LET'S GO ON AN ADVENTURE WITH DORA! The ideal way to combine fun and healthy activity. This large jumper has 360-degree mesh windows, so parents and spectators can have a clear view of all the fun. Our bouncy houses are made safe and secure with lite n strong , fire-resistant vinyl for safety and portability. 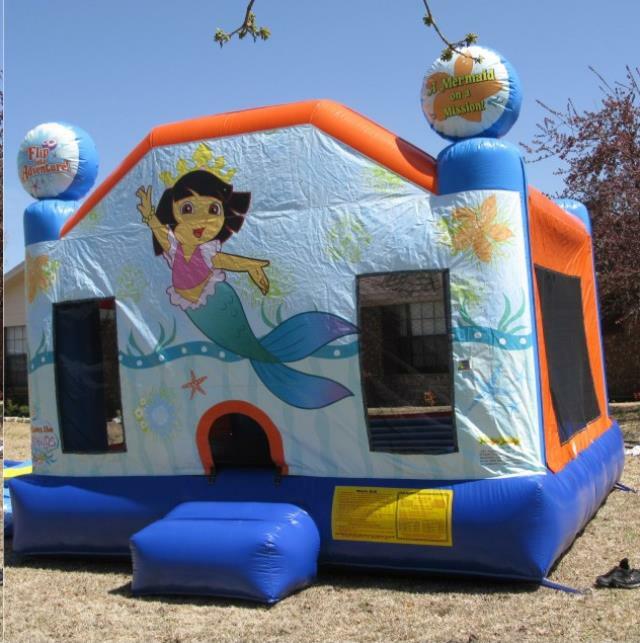 * Please call us for any questions on our dora the explorer 13 foot x13 foot bouncer rentals in Rocky Mount and Wilson NC.